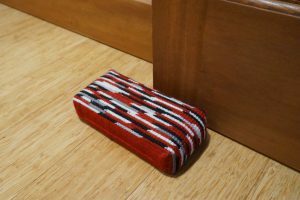 A needlepoint doorstop is one of the most functional needlepoint projects you can stitch; and finishing it doesn’t require any unusual supplies or skills. 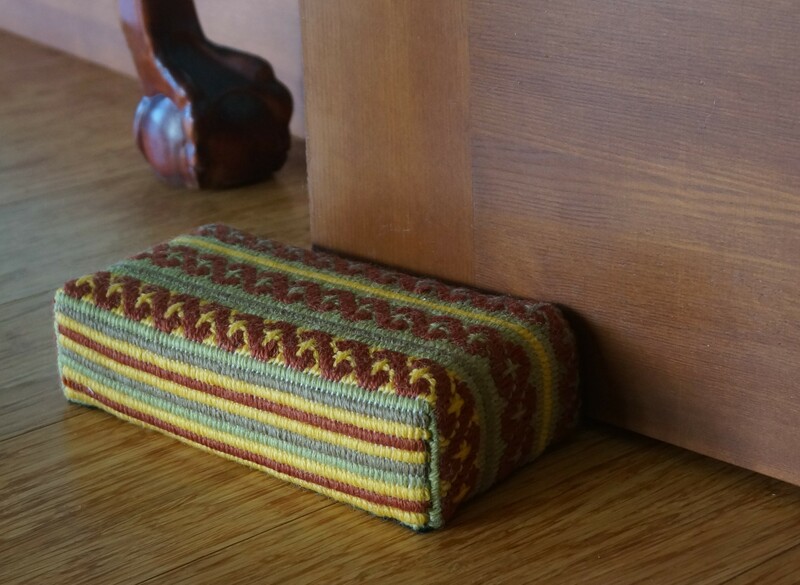 If you can stitch a canvas, you can finish the doorstop. Preparing the Canvas: Begin by blocking the finished canvas so that it is square. 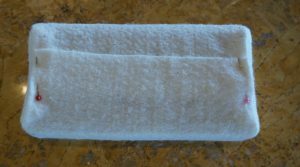 If the canvas has been stitched on a frame, there should require minimal blocking that often can be completed with a steam iron. 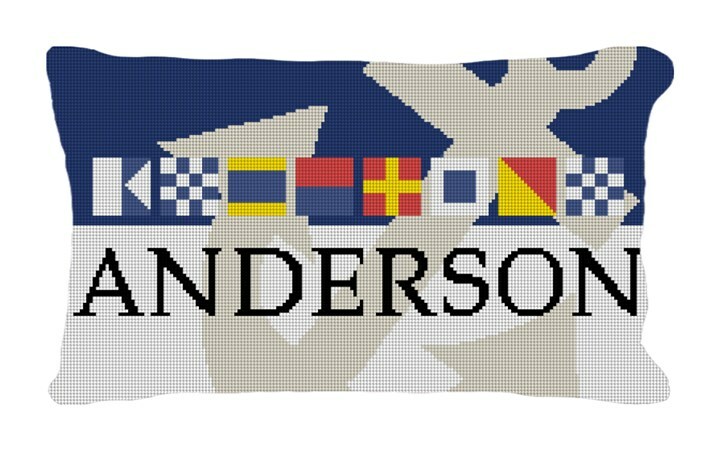 Put the needlepoint face down on the ironing board or towels. Set the iron for steam and hold ¼” above the canvas. While canvas if warm and damp, tack it into final shape on a Styrofoam surface or a board as shown above. Stitch the corners of the blocked canvas by folding the right sides of each corner together as stitching through the last needlepointed stitched. This can be done by hand or by machine. Trim the mitered corners to ½” and press open. Turn canvas right sides out. 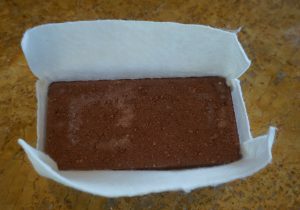 Wrapping the Brick: Since the brick has irregular edges that easily catch on the canvas, it is recommended that you cover the brick with lightweight quilt batting or flannel. Cotton/bamboo batting is my preferred choice. This will give a smoothness to the finished project and protect the canvas from snags and wear. 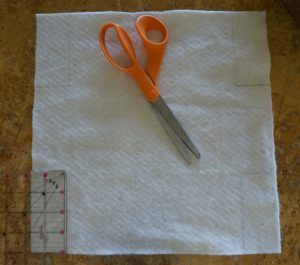 Cut a 12.5″ square of cotton batting and trim 4″ x 1.75″ from each corner as shown above. 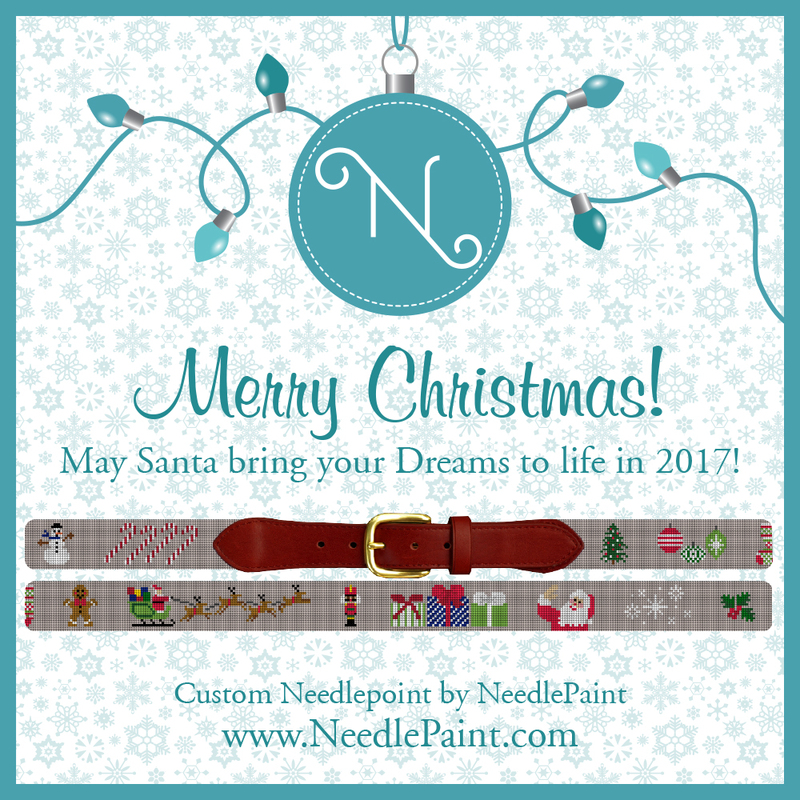 Now here is where there is a choice – to glue or to sew. 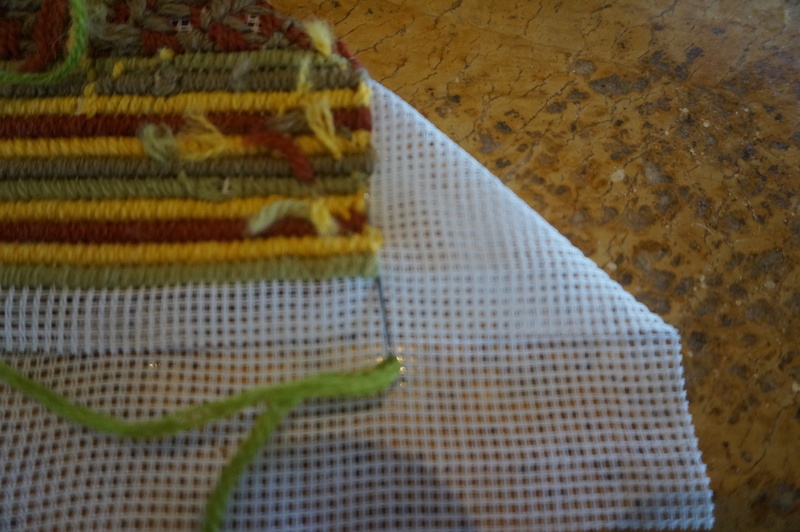 Sewers will miter the edges with a ¼” seam as described above for the canvas. Again this can be done by hand or by machine. 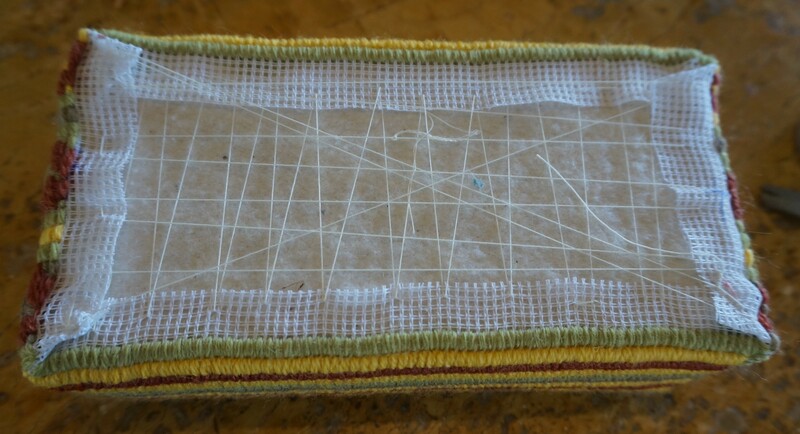 Turn the batting so that the stitched edges are to the inside, i.e. facing the brick. Insert the brick with its sharp/squared edges down. Fold over the batting and stitch in place. The wrapping can easily be glue gunned in place. Not my thing, but a good process for this part of the finishing. A glue gun is not recommended for the final two steps of the finishing process. 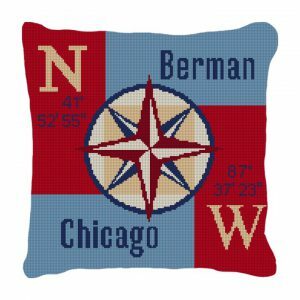 Putting It Together: Insert the covered brick into the finished needlepoint canvas with the bottom of the brick facing up. Lace the canvas in place. 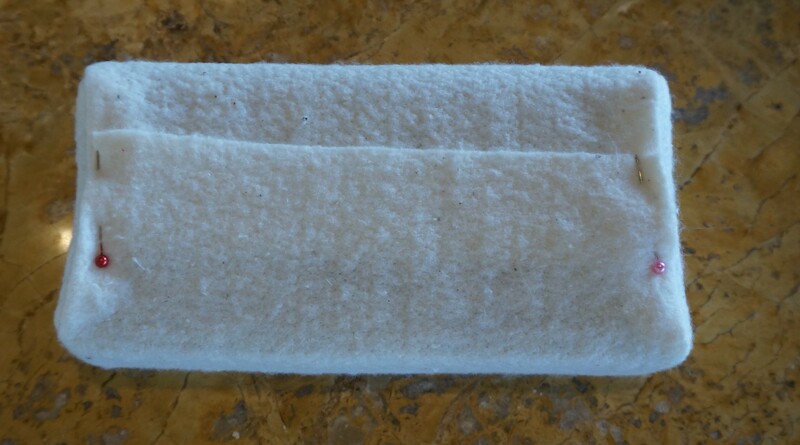 Cut a 8″ x 4″ rectangle of felt or heavy wool. Felt is easier to work with as it does not ravel. Stitch in place. Voila a finished doorstop. 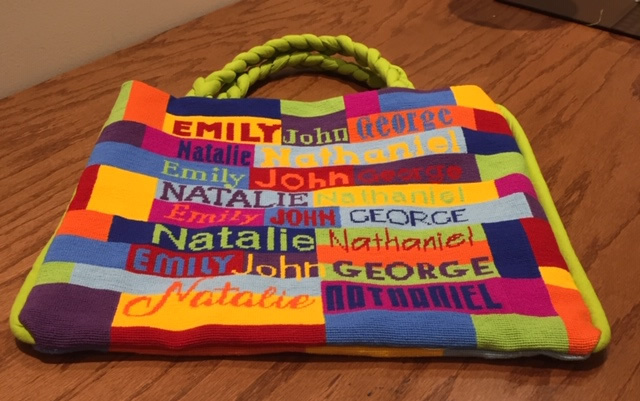 Here at NeedlePaint.com, we offer a personalized brick cover needlepoint canvas, and a custom designed needlepoint brick cover canvas for you to stitch. 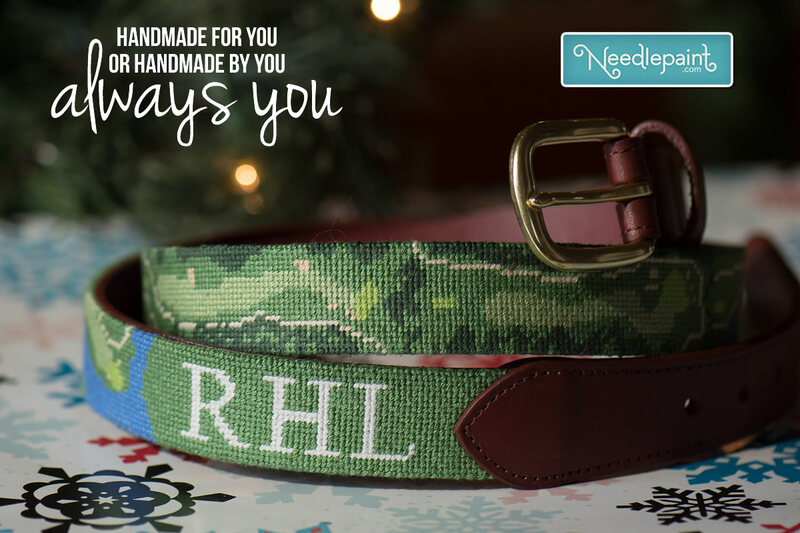 Tired of the Tent Stitch? 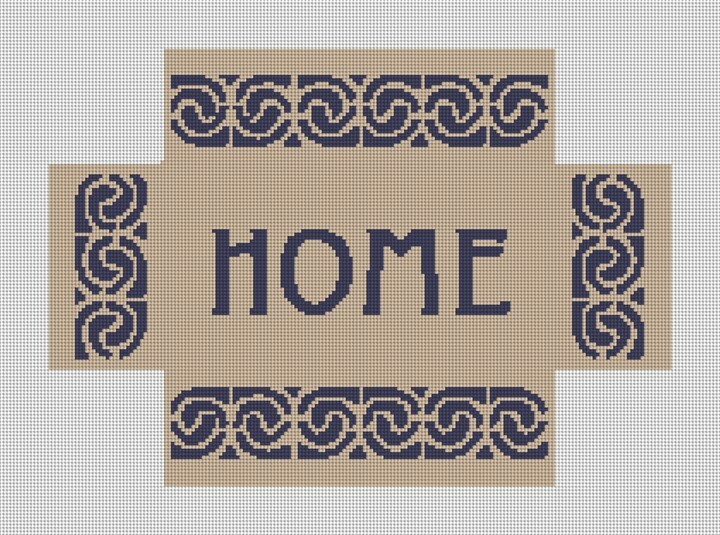 There are several cross stitches which are great substitutes. 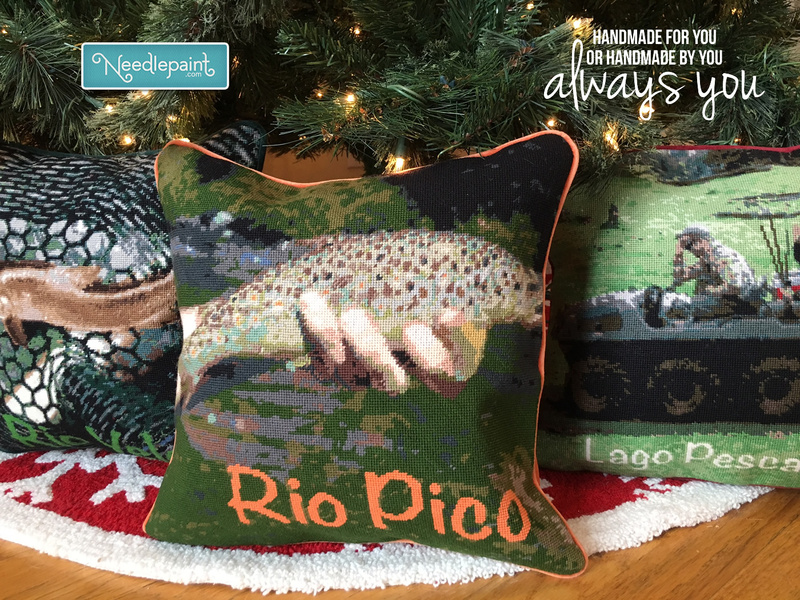 They cover well and give texture to a needlepoint piece, or your brick cover. 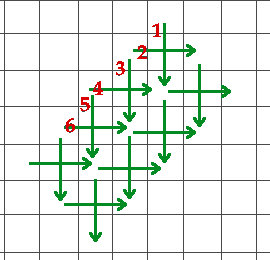 The simplest is the Small Upright Cross that is worked on the diagonal as shown below. 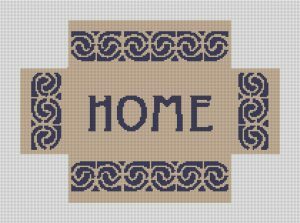 The one thing to remember with this stitch is to keep the crosses consistent. 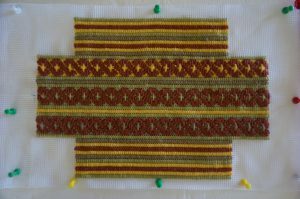 In other words, do the vertical stitch first and then have the horizontal on cross over. Or, do it the other way around. Since this stitch is small and has a firm finish, I have used it on belts. 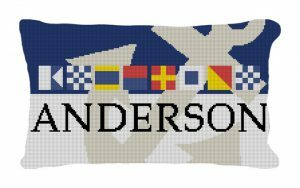 For this Colorado Trail belt, the Continental tent stitch was use for the lettering and logo in white and the small areas of these were filled with green tent stitch. 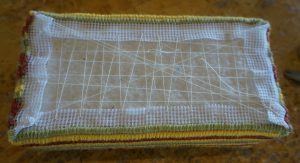 The tent stitch was also used for a 3-row border along both edges which will be turned over when sew to a leather backing. 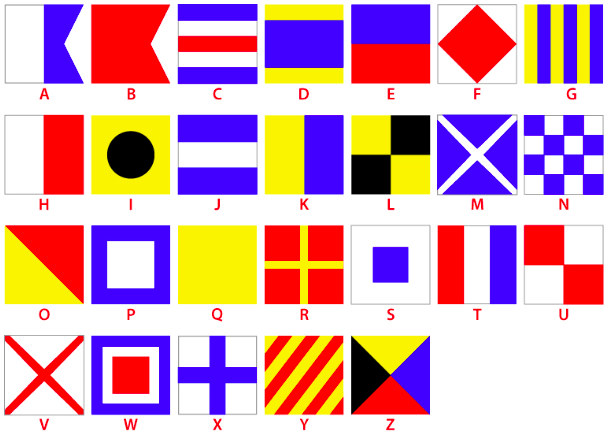 Then, the small upright cross was used to fill the background. For something a little more dramatic, there is the Long-Armed Cross. 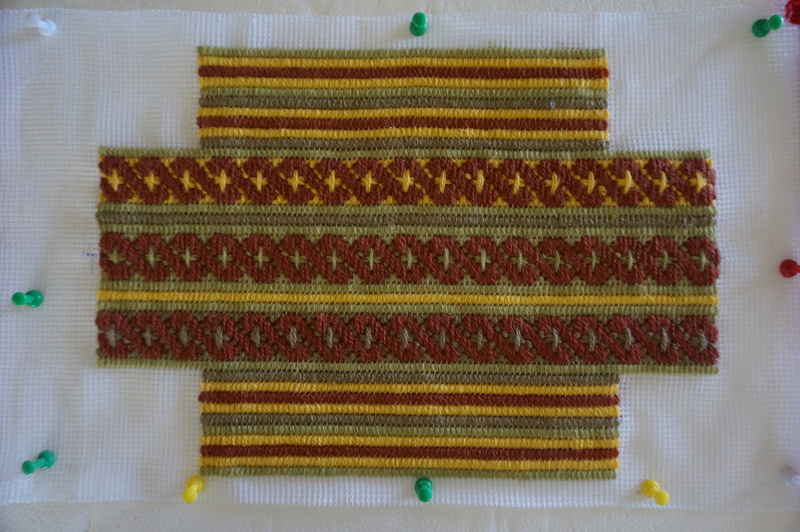 This stitch has longer stitches and give more visual relief. 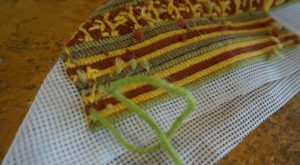 This stitch takes a bit of attention in getting started and some counting, but it is worth the effort. It made a nice wave-light background for the loon, on my Loon Brick Cover needlepoint canvas. 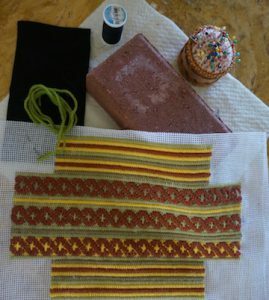 Both of these examples were worked on 18-pt canvas with 6 strands of DMC floss. Changing canvas size and thread give a very different look as seen below on the brick on 10-pt canvas with 3 strands of Waverly wool. Varying lengths of red, grey, white, and black yarn were used for the top and ends in the Long-Armed Cross, and a single row of the Long-Armed Cross was stitched on each side surrounded by the Continental tent stitch. At NeedlePaint.com, we love to design Custom Needlepoint projects. 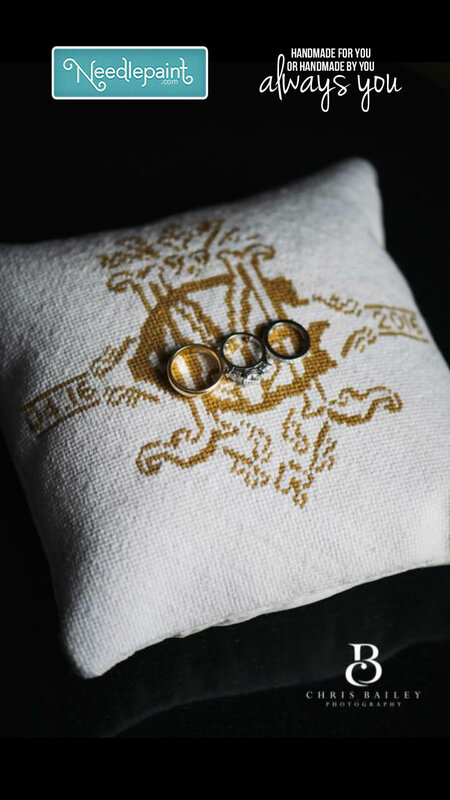 This blog post features amazing custom needlepoint ring bearer pillows and Wedding Needlepoint designs that were recently stitched. 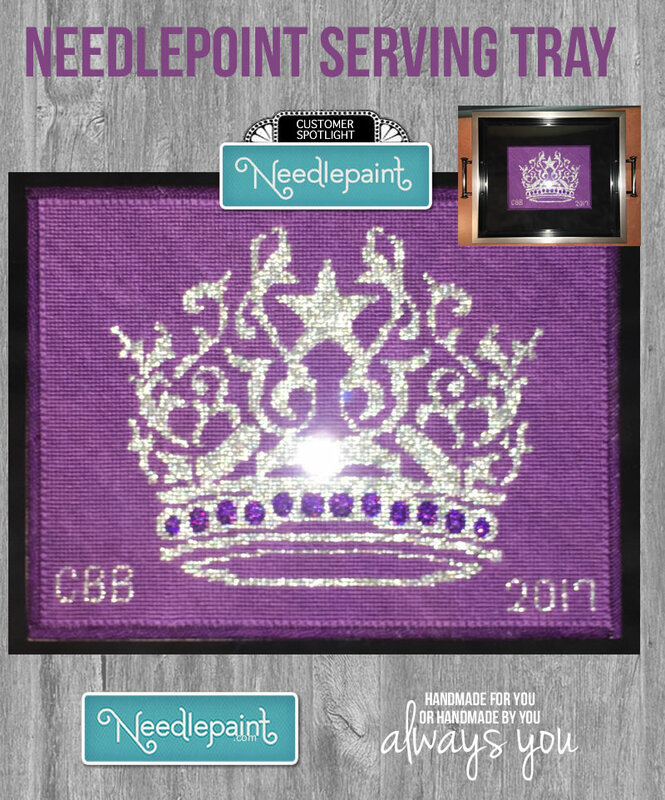 Next are some amazing custom wedding needlepoint projects that were stitched by our customers. 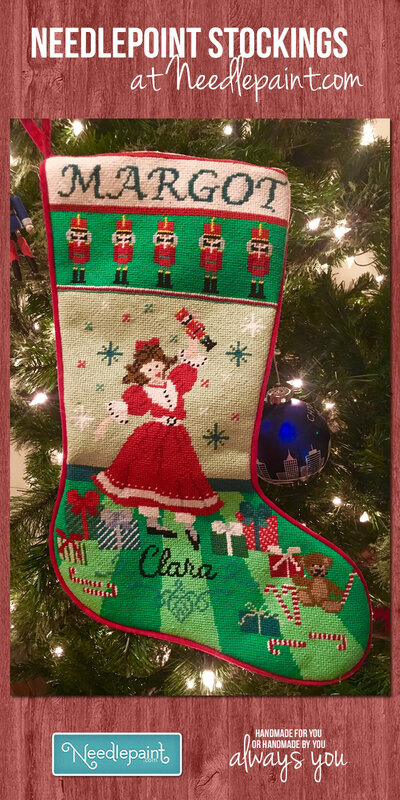 The Chap Lane Inn was stitched by Tish in VA. Note the bride and grooms names repeating in the background! 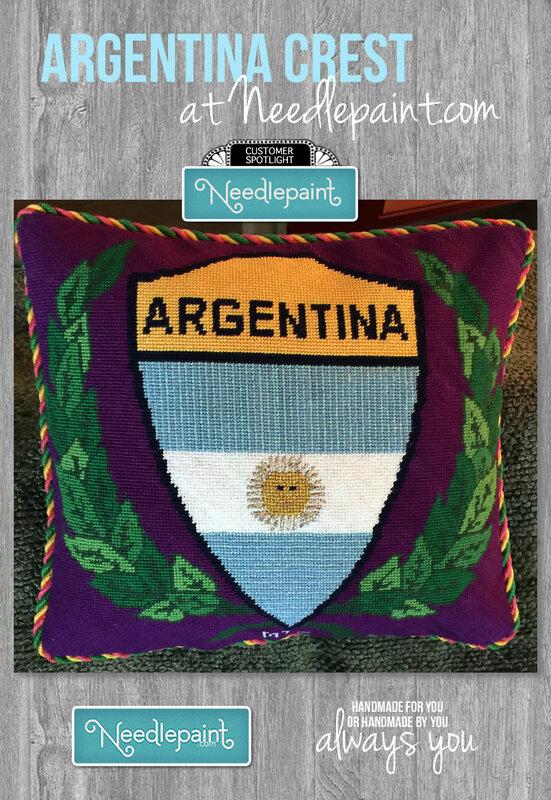 The Fleur de Lis and Celtic Cross were needlepointed by Denise in KY. She uses lots of lovely stitches. 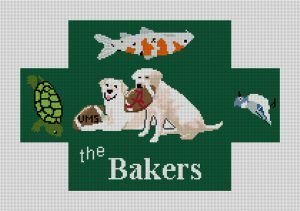 The last two custom wedding needlepoint designs have a fun, modern edge taken from the bride and groom’s wedding invitations. 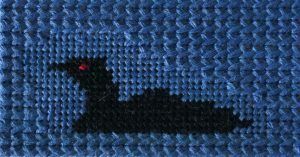 The Acorn design was stitched by Susan in CT. 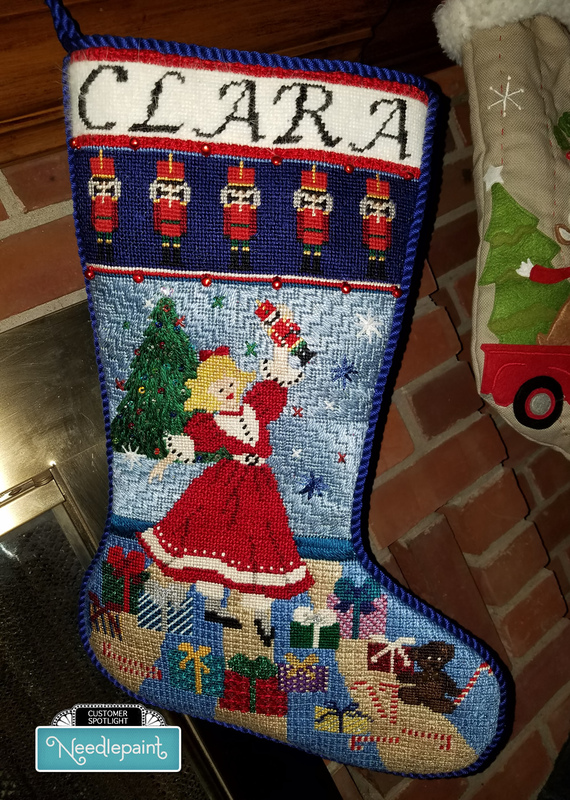 I love the beads and mosaic needlepoint stitch in the background! The modern heart design was stitched by Betsy in SC. Thanks so much for sharing your pictures! 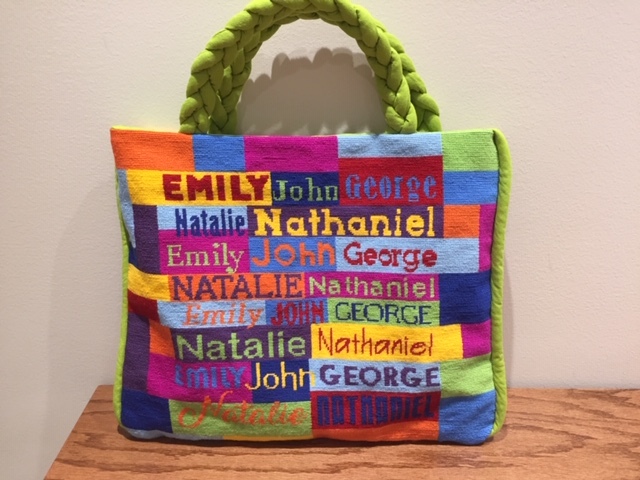 It is spring time again, and we have some fun bright ideas to needlepoint for that special new addition to your family! 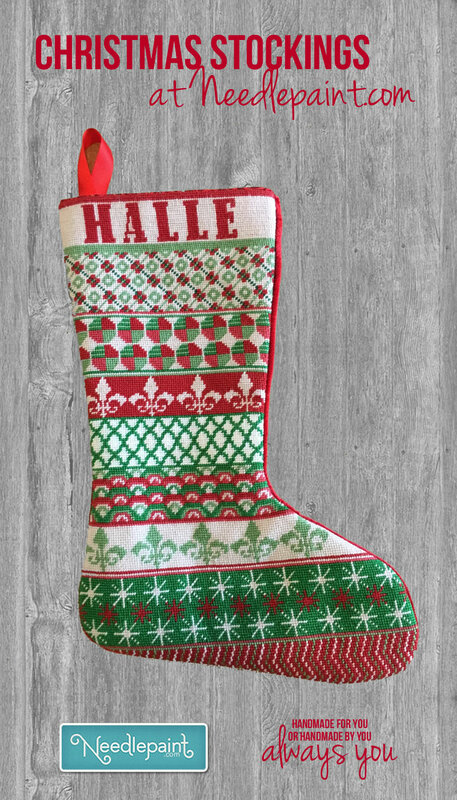 I love them all, and we’ll personalize the design with your details when we make your order. 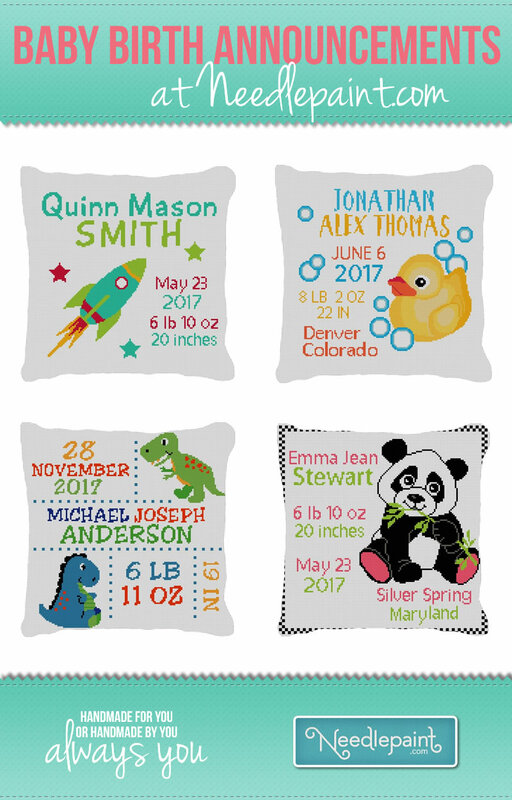 Follow the links here to see them in our shop: Rocket Birth Announcement Needlepoint Canvas, Rubber Duck Baby Needlepoint Kit, Dinosaur Birth Announcement Needlepoint Kit, and the Baby Panda Birth Announcement Needlepoint Canvas. 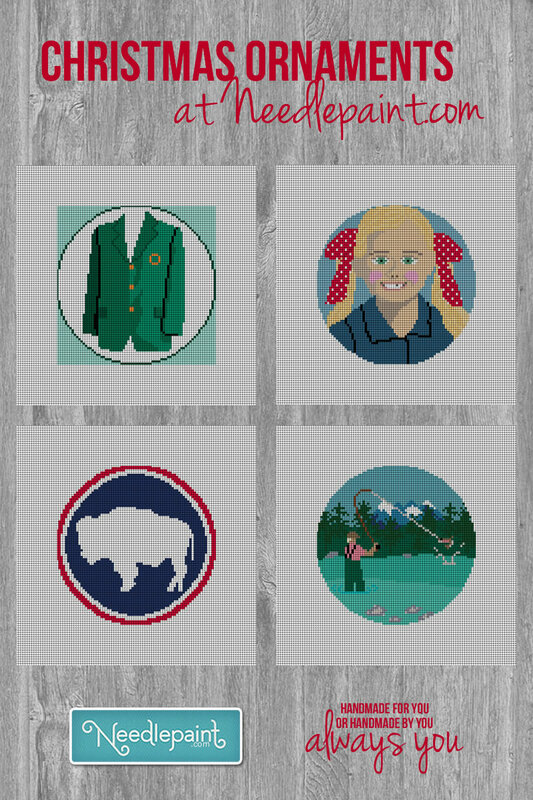 They are all available as needlepoint kits and can be hung on the wall or can be made into fully stitch needlepoint pillows. 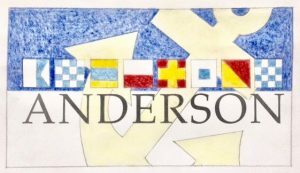 There is one more new design that I love! 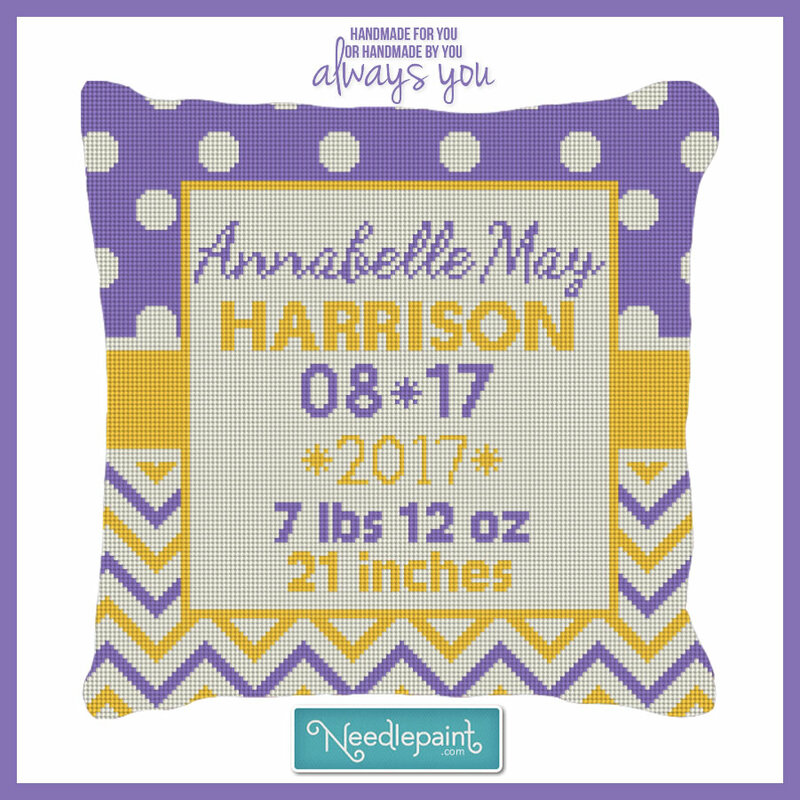 The Graphic Baby Announcement Needlepoint Kit for the modern baby’s room. We’re happy to adjust the colors per your request. We’ve been designing custom kippah needlepoint canvases for about a year now, and they are fun! 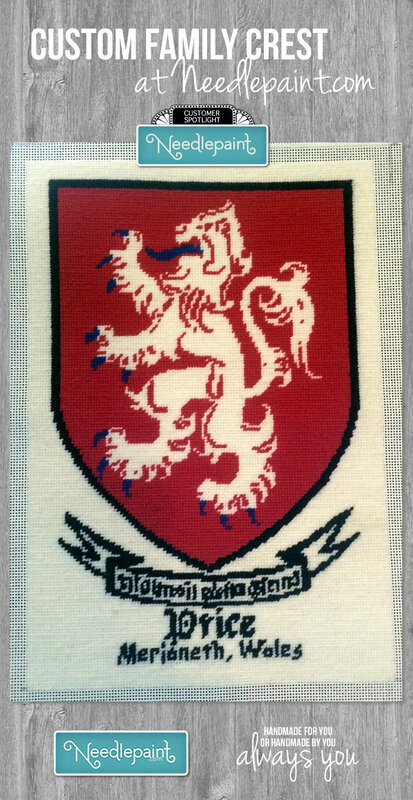 The latest project was sent to us and stitched by Carin, in NY. And finished by Stitch by Stitch in Larchmont NY. The team is the Portland Timbers and is for a grandson who loves soccer. Thanks Carin for sharing!